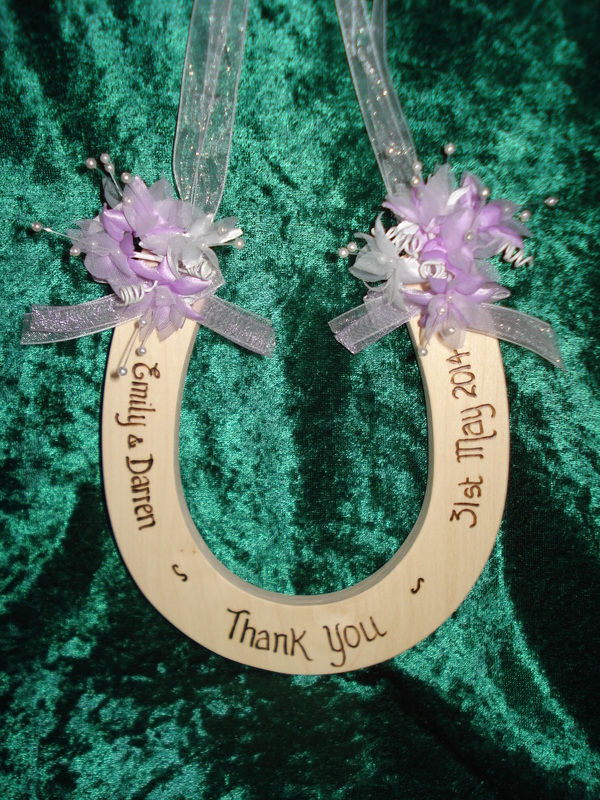 The Organza Wedding Horseshoe is a delicate and pretty bridal keepsake. 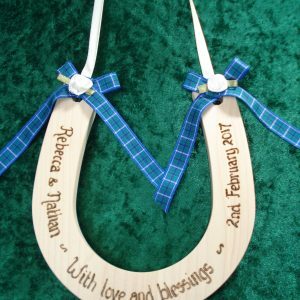 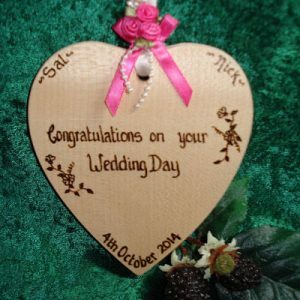 This personalised wedding horseshoe has an organza ribbon carrying loop in white or ivory. 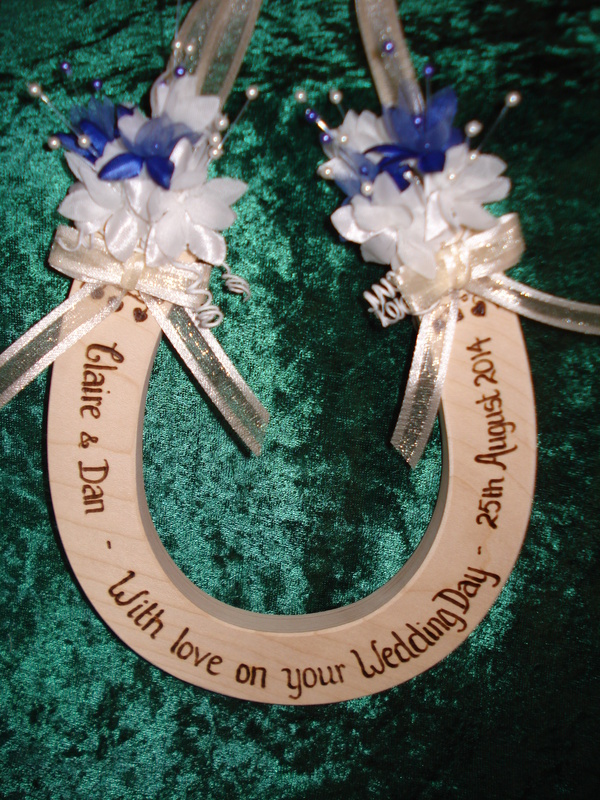 Baby’s Breath flowers adorn each side, usually 2 the same colour as the ribbon loop. 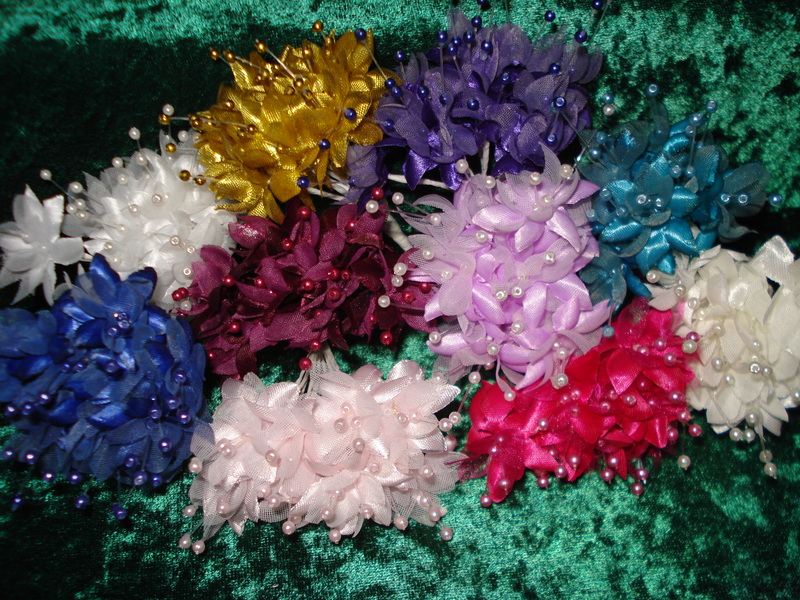 The remaining three will be in your choice of colours. However these colours can be mixed to your requirements. 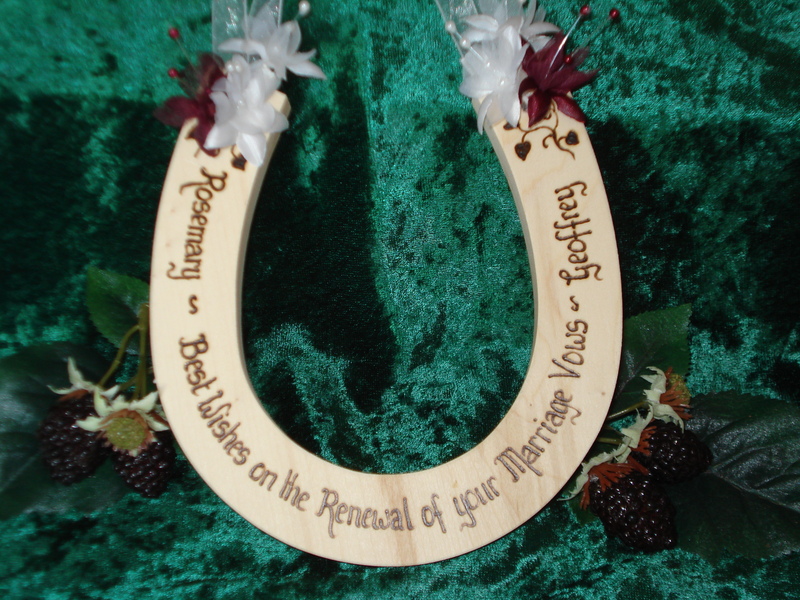 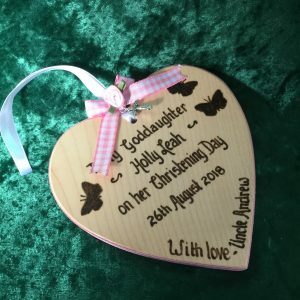 An organza ribbon bow finishes this stunning Horseshoe along with little vine leaves burnt into the wood.